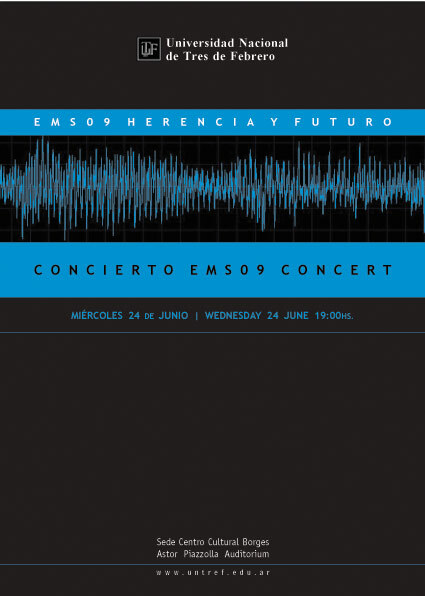 The EMS conference is organised yearly through the initiative of the Electroacoustic Music Studies Network, an international team which aims to encourage the better understanding of electroacoustic music in terms of its genesis, its evolution, its current manifestations and its impact. The 2009 conference took place in Buenos Aires June 2225 with the theme Heritage and Future. 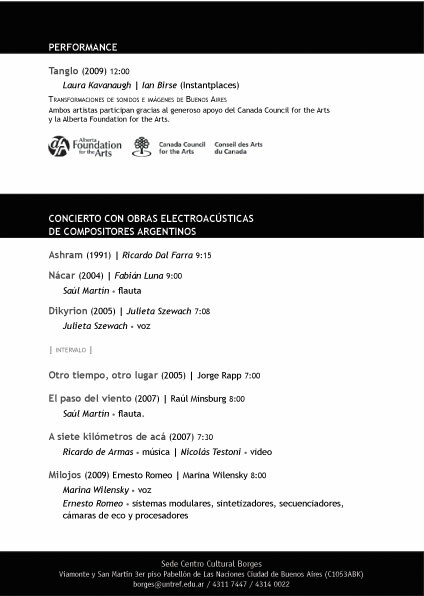 We were invited to open the concert evening with TANGLO, a new work for live sound and image transformation we created during our stay in Buenos Aires.